I was flicking through my wardrobe seeing what I can fit into, and sighed when I saw my strapless Chloe horse dress, leading me to reminisce. 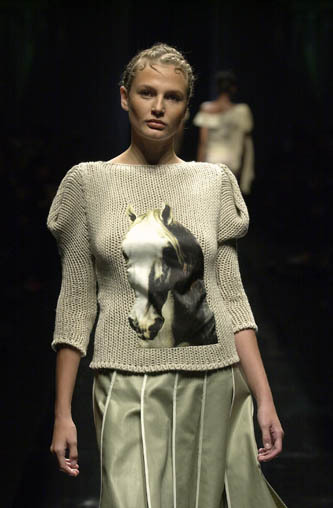 The 'Chloe horse' collection is in all likelihood my all-time favourite collection of Stella McCartney's to date (or one of my all-time favourite collections period). 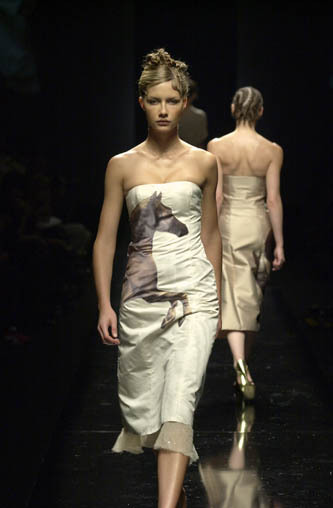 I have the 'negative opposite' of this dress (ivory horse on brown dress) - and must say this pic doesn't do this dress justice! What are your some of your all-time favourite collections? keep them, even if it's just for the nostalgia. I vaguely remember this collection, the horses and the pineapples, but now that I'm really looking the silhouettes are great too. For me I love a lot of what tom ford did @ ysl and those kimonos he did @ gucci and those silk shoes with the bamboo heels too. AH! The Tom Ford/Gucci 'kimono' collection is one of my all-time favourites too! If only I could get my hand on one of those kimonos! You can find his ysl stuff for a bargain, but his gucci stuff still commands top dollar, perhaps even higher than what it cost originally! What size is it ??? If you do decide to sell it,let me know?.........I can pay high price for it ? 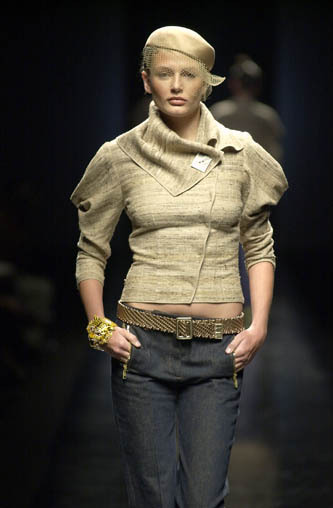 I liked the earth tone colours of this collection!